Now I won't say the actual word, but there was something about yesterday when I woke up that made me feel like a certain holiday was slowly creeping upon us.. And it is, there are only 13 Tuesdays until that holiday! 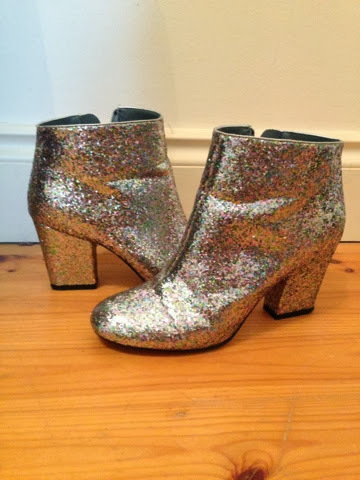 *eek* So when I was sorting out my wardrobe I saw these sparkly boots peeking out and I thought YES. You will be worn today. 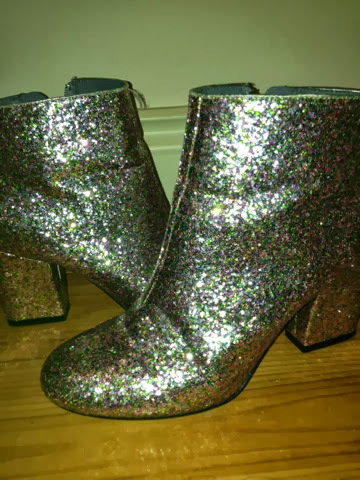 I got them on ASOS last year and I just love them. 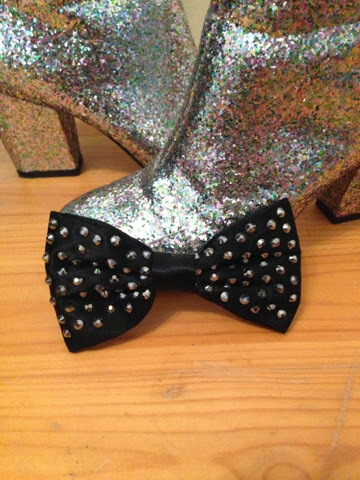 I paired them with a leather dress, black shirt, bowtie and black shirt. 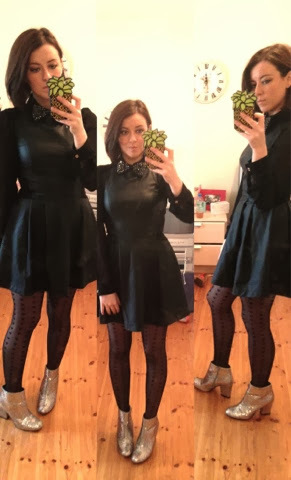 I got the bowtie in Topman last year, I love it, it makes a relatively normal outfit have a bit more interest. There are some very cool designs in Topman at the moment. Also featured is my new Moschino pineapple phone cover I got on eBay, I love it!